How Does the Fusion Center Protect Our Communities? The Hawaii State Fusion Center (HSFC) is a Hawaii State government program that facilitates intelligence sharing between local, state, and federal agencies, and the public and private sectors. As the nation’s 77th Fusion Center, it is uniquely structured to empower front-line law enforcement, public safety, fire service, emergency response, public health, critical infrastructure partners, and private sector security personnel to understand local implications of national intelligence, thus enabling local officials to better protect their communities. The HSFC collects tips, leads, and other threat information through suspicious activity reporting (SAR). It conducts analysis, disseminates intelligence, and provides training and technology resources. The top priorities are counter terrorism and cyber security. If there is an emergency, contact your local police department. Please include your contact information so we can follow up with you. The Hawaii State Fusion Center’s partnerships with the community are important because they are a force multiplier. They increase its effectiveness of and amplify its output of work to help protect the public. The HSFC helps administer three internet based community policing partnerships effective at preventing crime and solving community public safety issues. The HSFC works behind the scenes at many of Hawaii’s premiere athletic events from the Honolulu Marathon to the Kona Ironman. They assist in the management of risks associated with conducting events that involve mass gatherings of people and assist planners and organizers in making such events safe and successful, as well as ensuring adequate measures and systems are in place to prevent, reduce, and provide safety for all. The HSFC focuses on protecting Hawaii’s critical infrastructure. The state’s critical infrastructure provides essential services to society and is the backbone for the state’s economy. It can be divided into 16 sectors (to include Election Infrastructure sub sector) as defined by DHS. The HSFC, using DHS’s taxpayer provided Automated Indicator Sharing (AIS) capability, seeks to provide and share information and analysis with our partners on cyber threats that effect Hawaii. As mandated by the Cybersecurity Information Sharing Act of 2015, DHS certified the operability of AIS in March 2016 and released guidance to help non-federal entities share cyber threat indicators with the federal government. AIS enables the exchange of cyber threat indicators between the federal government and the private sector at machine speed. Threat indicators are pieces of information like malicious IP addresses or the sender address of a phishing email (although they can also be much more complicated). Utilizing AIS means adversaries can only use an attack once, which increases their costs and ultimately reduces the prevalence of cyber-attacks. While AIS won’t eliminate the most sophisticated cyber threats, it does allow companies and federal agencies to concentrate more on them by clearing away less sophisticated attacks. Ultimately, the goal is to commoditize cyber threat indicators through AIS so that tactical indicators are shared broadly among the public and private sector, enabling everyone to be better protected against cyber-attacks. The intent is for HSFC to develop an “ISAO-like” capability for Hawaii. An ISAO – information sharing and analysis organization – is a group created to gather, analyze, and disseminate cyber threat information. This offers a more flexible approach to self-organized information sharing activities amongst communities of interest across sectors. Please contact the HSFC for more information on AIS and our on-going cyber threat efforts. A fusion center is a collaborative effort of two or more agencies that provide resources, expertise, and information to the center with the goal of maximizing their ability to detect, prevent, investigate, and respond to criminal and terrorist activity. HSFC members include Hawaii high intensity drug trafficking area, Hawaii state employees, Hawaii National Guard, DHS and FBI. 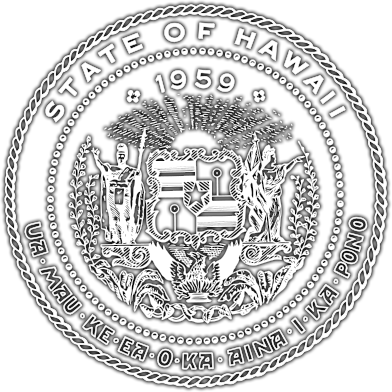 The extended HSFC memberships include every major local law enforcement office in Hawaii, critical infrastructure providers, private sector partners, federal government partners, and many others statewide.